A Seattle court judge has ordered Amazon to organize a process for issuing refunds to parents whose children made in-app purchases without their permission. The issue dates back to 2014, when the Federal Trade Commission (FTC) filed a lawsuit against the retailer. The FTC accused Amazon of making it too easy for children to make purchases on games such as Pet Shop Story and Ice Age Village, and estimated that around $86 million of unauthorized charges had been made as a result. 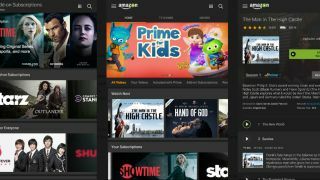 Though Amazon insisted at the time that the FTC’s figures were flawed, and said it was improving the security of its app store with stricter procedures, Judge John Coughenour sided with the FTC in April of this year. The FTC called for Amazon to pay a $26.5 million lump-sum payout, but in his order issued this week, Judge Coughenour instead ordered Amazon to set up a notice-and-claims process in early 2017 to alert parents of their eligibility for refunds and to reimburse them appropriately. Reuters reports that Coughenour said the FTC’s damage requests were “too high” and there was a risk its figures could have taken unrelated failed password attempts into account. This order, he said, “removes the uncertainty of the proper lump sum amount that the parties have vigorously disputed. Moreover, it accomplishes the goals of placing liability on Amazon and refunding eligible customers”. Amazon requested permission to issue refunds in the form of gift cards, but this was rejected by the judge who said that the company would “undoubtedly recapture some of the profits that are at issue”. This isn’t the first time the FTC has filed cases against companies for insufficient methods of preventing unauthorized in-app purchases; in 2014 the regulator took action against Apple and Google, resulting in both companies being ordered to issue refunds to their customers. Since these suits have been filed, all three companies have, as you’d expect, improved their security procedures in order to decrease the risk of unauthorized purchases.